This year was the first annual Blog Connect Conference, hosted by the PHLBloggers. 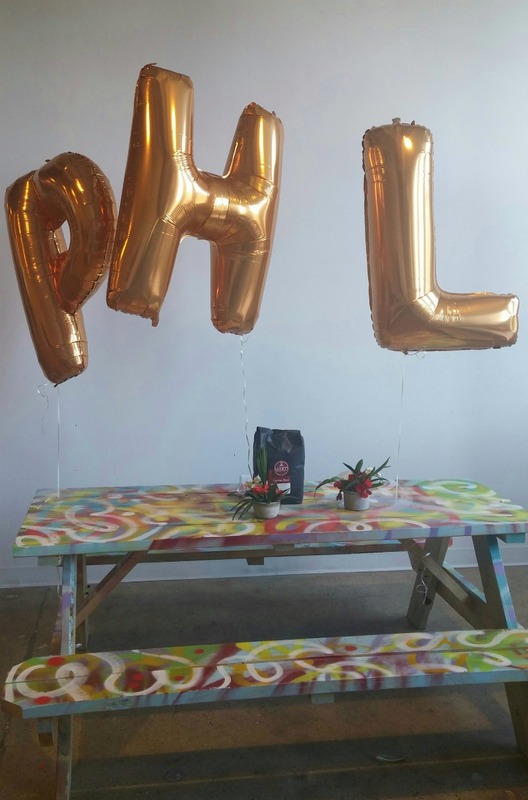 The PHLBloggers is a wonderful community of beauty, lifestyle, health and fitness, design, and entertainment bloggers in Philadelphia, and I’ve really enjoyed being a part of the group since joining last year. The funniest thing is that I actually attended this conference right after the Run for Clean Air 5K! After the race, I walked home, showered, changed, and walked to Saxby’s Headquarters in Center City Philadelphia for the big event. 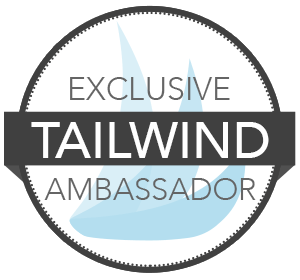 The program was fantastic – I learned a lot and met some really cool people! 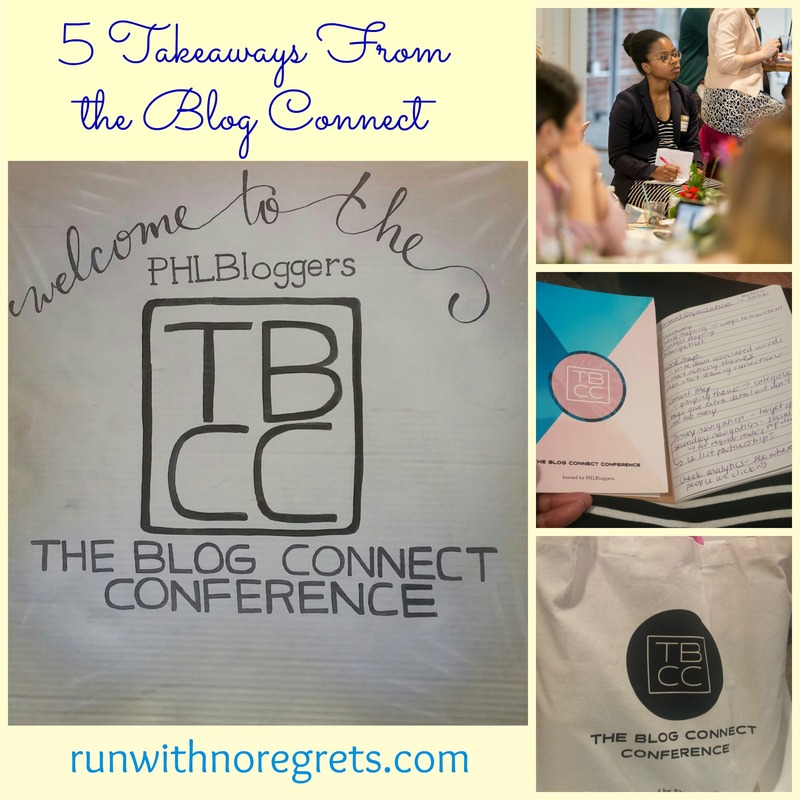 Here are 5 of my big takeaways from attending the Blog Connect. One of the first sessions of the day was with Julie Lenard, The Storyologist. We discussed the basic structure of storytelling by using The Wizard of Oz as an example. A good story should be able to be described in 3 sentences: The beginning, the middle, and the end. And overall, there should be a universal relatable theme and an underlying message (there’s no place like home, right?). I really enjoyed this workshop because not only did it take me back to English class, I was able to really focus on how I can do a better job telling stories through my writing. 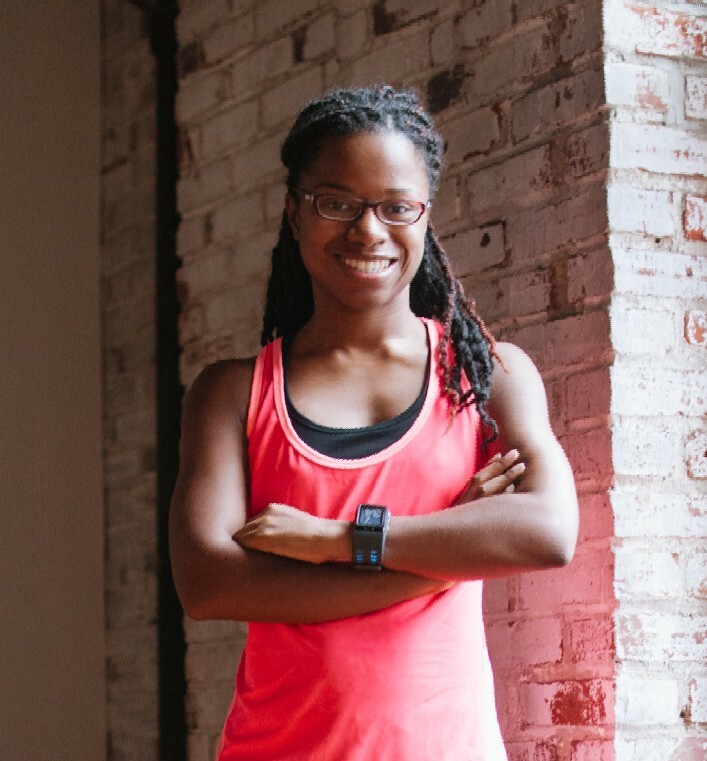 I was also able to come up with a future post idea that will share more details about my personal running journey that I hope you will enjoy in the near future! Trying to get better with my photography! Try using white or beige construction paper for your styled photos. Try using VSCO Cam or Snapseed to edit photos and use the same settings each time for consistency of your brand. Create a Pinterest board with your Instagram posts. Don’t use zoom when taking photos with your camera – physically move closer to your object and crop when necessary. Don’t use Instagram filters – they can actually lower the quality of your photo! I asked Amber what kind of Instagram posts I could style as a running blogger. She suggested running gear, different products I use, announcements for signing up for a race, any of those “lifestyle moments”. I’m generally clueless on Instagram, so this was so helpful! As much as we may like to avoid it (or maybe that’s just me), you’ve got to have a strong network in order to find new opportunities, especially when it comes to blogging. 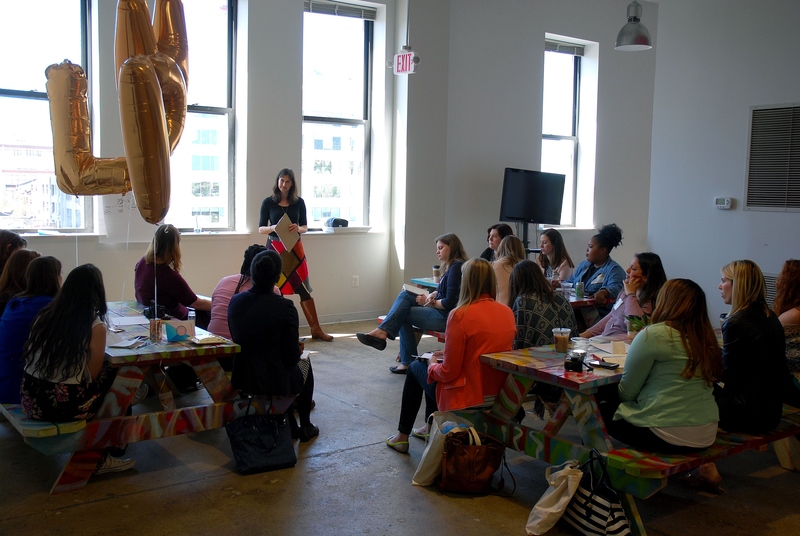 We had a session with Kate and Jess from Philly PR Girl that gave some great insights on how you can grow your blog/business by leveraging the relationships you build over time. When I’m in blogging mode, sometimes I have my head down and I’m focused more internally. But it’s so important to make those connections, not just online, but in person! Start a spreadsheet for ALL of your blogging contacts and business cards that you receive. Join volunteer groups and committees that share your interests related to your blog. Unsurprisingly, we learned quite a bit about blog monetization at the Blog Connect. Nowadays, there are countless businesses creating blogs and bloggers creating businesses! One big takeaway from that was discussed was that it’s time to create a media kit. A media kit is a document that you share with prospective sponsors for your blog or business. If you’re interested in working with a brand or if one contacts you, the media kit will explain your brand, your audience, website statistics, social media followers, and rates for services. I’m a pretty small-potatoes blogger, so I really didn’t think that I was at the level to require a media kit. But why sell yourself short? Bloggers take a lot of time and effort when working with brands and should be properly compensated. And just because you’re being paid with free product, that doesn’t mean there isn’t a budget to allow you to get paid in cash too. It doesn’t hurt to ask, and that’s where the media kit can play a huge role! Have you heard of Snapchat? I still don’t really get it, but I definitely learned that I need to be on it! With Snapchat, you can share photos and videos with your audience that are 1-10 seconds long but only last as long as 24 hours before being deleted forever! Throughout the day, we heard from various bloggers that Snapchat is THE place to be because it’s a great way to connect with your followers and potentially work with brands. This post does a much better job of explaining the benefits of Snapchat as a blogger and business. While I don’t really like following the trends, there are definite benefits of being an early adopter of social media, so I am going to give it a try. When I create a username I’ll let you know! 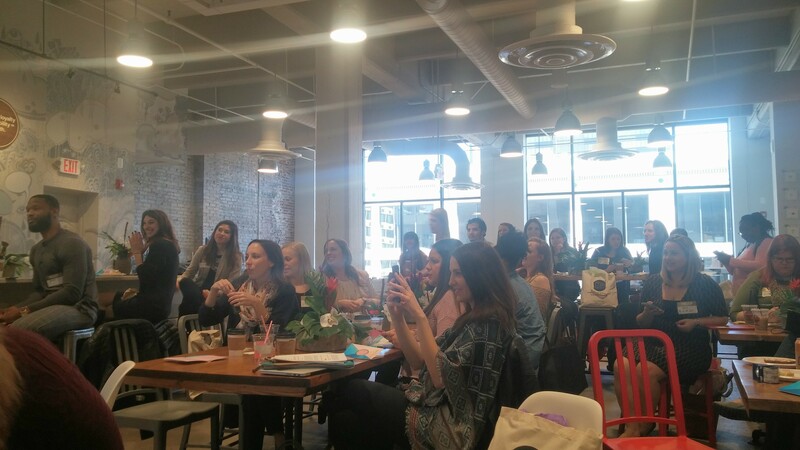 The PHLBloggers are a wonderful group and I’m so glad that I’ve been able to get to know other bloggers in Philly and start to create and reignite some connections. The Blog Connect was a great event, not pretentious, and just full of so much valuable information. I am sure that it will be an even bigger event next year! 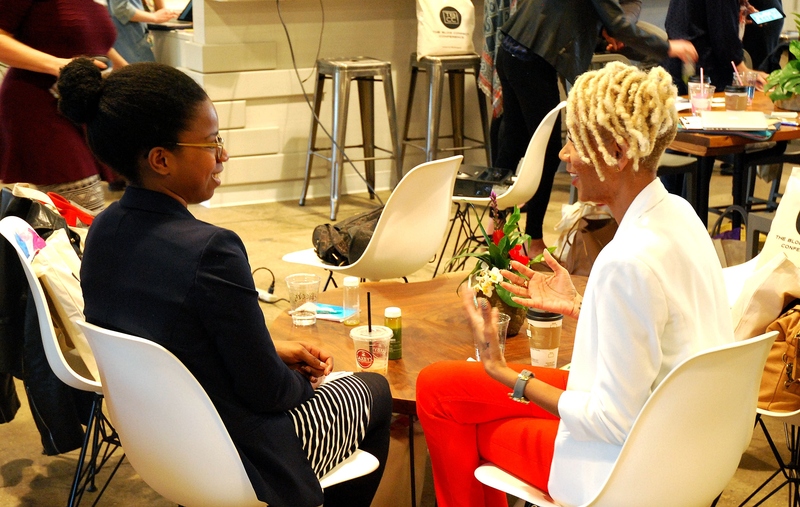 Have you been to a blogging conference or plan to attend one this year? Are you on Snapchat?? Previous Post 1/2 Sauer 1/2 Kraut Half Marathon Training Next Post GreenBlender Smoothies Review + Discount!